Maintenance work on August 17. Description of an update. Tomorrow all our servers will be brought down for usual update maintenance at 5.00 AM (NY, USA; UTC-4) on 08/17/2016, we estimate it to be around 2 hours, so please, don’t play the game this time. 1. The combination of talent card. There’s a new feature in “Talent Card” that available now. It’s called “Combo effect”. It’s activated when you have 3 cards, that shown when you point cursor on certain card, as you can see in the example. 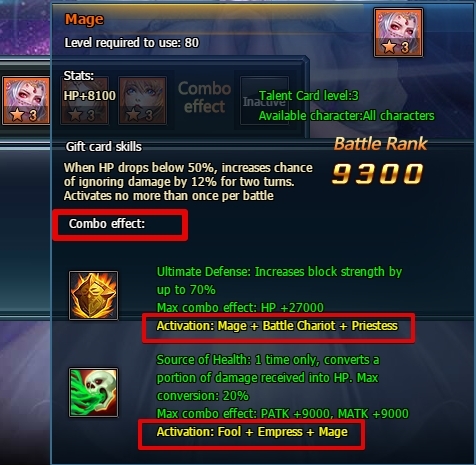 Which combo effect requires different cards, so it’s up to you to decide which effect do you need and choose required cards. 2. 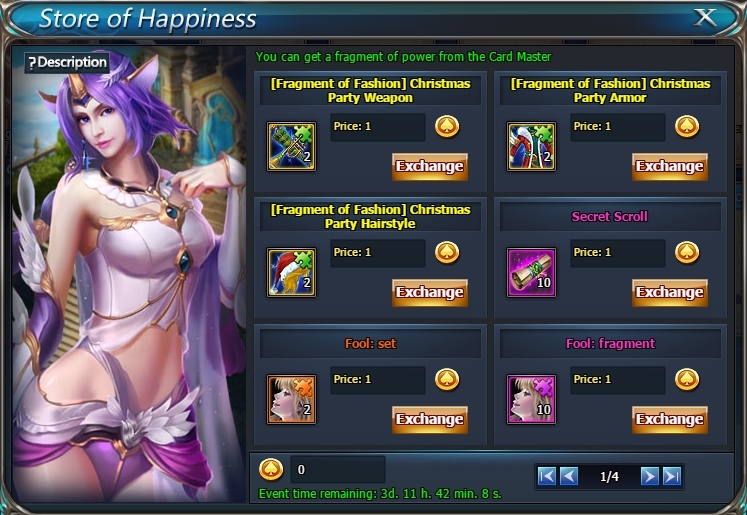 “Card Master” event is added. It requires level 80 to participate. There are 3 different types of the lottery. First type: Normal Cards. It's available everyday for 48 coupons for 1 attempt (10 attempt available). In this lottery you can receive various awards, for example Ancient Feathers, Rune Box, Gem Box and etc. 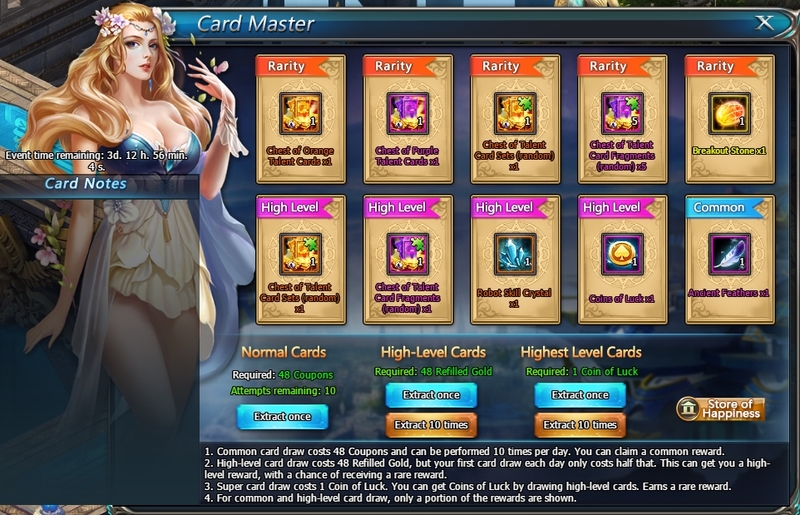 Second type: High-Level Cards. It's available unlimited number of times a day for 48 gold (the first extract for 50% of cost). Here you can receive various high-level rewards, for example Robot Skill Crystal, high-level Gem Boxes and etc. Also there's a chance to receice Coins of luck or another rare reward. Third type: Highest Level Cards. The cost of 1 extract is 1 Coin of luck. In this lottery it's guaranteed that you can receive a rare reward, such as Breakthrough Stone, Talent Card Fragments or Talent card.